Betty Snider Palmer Newkirk, 81, of Beallsville, Ohio died Thursday, November 22, 2018 at her home. She was born May 31, 1937 in Cressap, WV, a daughter of the late Lloyd Snider and Gladys Billiter Snider Cline. Betty attended the Armstrong Mills United Methodist Church. 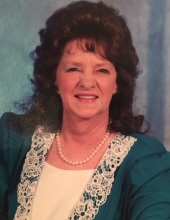 She was a life-member and past President of VFW Post 5565 Auxiliary and also a member of American Legion Post 228 Auxiliary, both of Powhatan Point. In addition to her parents, she was preceded in death by her first husband, Leonard Palmer and her second husband, Louis V. Newkirk. Surviving are seven children, Ernie (Karen) Palmer of Beallsville, Dale (Debbie) Palmer of Clarington, Larry (Debbie) Palmer of Cadiz; Tina Brown of Woodsfield, Rose (Bob) Ewing of Barnesville, Verda May (Mansel Hillard) of Barnesville, Doris (Dave) Weiss, of San Antonio, TX; 14 grandchildren, Jessie, Austin, Jacey, Kristopher, Rob, Angel, Heather, Billy, Lisa, Christy, Mike, Brian, Amanda, and Miranda; 18 great-grandchildren; seven step-children, Rodney (Yvonne) Newkirk of Clarington, David (Sara) Newkirk of Powhatan, Randy (JoAnn) Newkirk of Shadyside, Bradley (Carrie) Newkirk of TX, Vickie (Rick) Baker of Jacobsburg, Trecy (Rick) Anderson of Powhatan, and Cheryl Newkirk of Clarington; two sisters, Vonnie (John) Hranko of Beallsville and Peggy Brandon of Powhatan Point; a very special friend, Linda Perkins; also several nieces and nephews. Visitation will be Monday at the Harper Funeral Home, Beallsville from 2pm until the time of the funeral service at 5pm. Inurnment will be held at a later date. To plant a tree in memory of Betty Palmer Newkirk, please visit our Tribute Store. "Email Address" would like to share the life celebration of Betty Palmer Newkirk. Click on the "link" to go to share a favorite memory or leave a condolence message for the family.